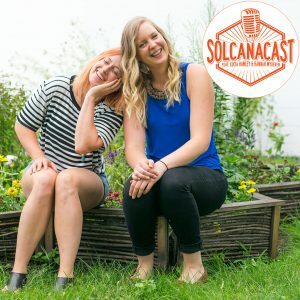 This week on Solcanacast Hannah and Lucia dive into the glorious world that is the LIVER–geez, it does so much! Listen as Lucia touches on how our (generally healthy) livers process toxins and what to do to support efficient detoxification processes. She’ll be back soon with even more information all about what else the liver does, this just barely scratches the surface! And Hannah? Well, I bet you didn’t know what lordosis even WAS until this episode! It is time for all of us to learn, and guess what–the liver and lordosis both just show how interconnected every organ, muscle, bone and ligament in our body really is. So follow us @solcanapodcast on Twitter and shoot us a challenge, tell us how YOUR challenge is going, or ask us a question! Lucia’s challenge: eat one bitter food this week! Hannah’s Challenge: notice your spinal curve and tilt as you sit, stand and move this week.